CNC precision engineering is a process which is used in the manufacturing sector which incorporates the use of computers in order to control machine tools. The tools which can be managed this way are mills, lathes, routers and grinders. It may seem like a PC manages the machines, but it is the unique software and the control console of the computer that actually set the system apart for using it in CNC engineering. 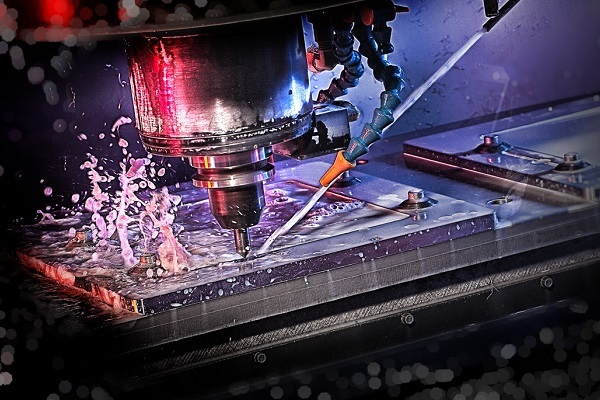 In CNC machining, the machine tools operate through numerical control. A computer program is specified for an object and the machines are programmed with a G-code (a CNC machining language) which controls all features like coordination, feed rate, speeds and location. CNC precision engineering enables the computer to control exact velocity and positioning. CNC machining is used in the production of both plastic and metal parts. Many people are confused as to what is the difference between a CNC router and a CNC laser machine since both types of machines can be used for cutting and engraving. The CNC router and the CNC laser machine have a different engraving performance. The CNC router has a 3d engraving, while the CNC laser machine has a 2d engraving and it just engraves on the surface. When it comes to the engraving speed, the CNC laser machine beats the router as its speed is much faster. However, the router offers a better engraving accuracy than the laser machine. Both of these precision sheet metal fabrication machines are used for cutting with the main difference between the CNC router and the CNC laser machine being their speed and accuracy. Therefore, the CNC router has a faster cutting speed of 30m per minute, whereas the one of the CNC laser is only 6m per minute. Speaking of cutting accuracy, the CNC laser has a much better one (0.01mm) than the CNC router (0.5mm). Both CNC routers and CNC lasers can cut and engrave non-metal materials. Moreover, both machines can also engrave on the surface of painted soft metals such as brass, aluminum, iron etc. However, the CNC router can cut the painted metal, whereas the CNC laser machine cannot. One of the main parts of the CNC laser machine is the laser tube which can easily wear off, thus, after a certain time, it needs to be replaced. On the other hand, the lifetime of the CNC router machine depends on the tools for cutting and engraving, the tools are fairly cheap, so it can be said that the CNC router is timeless.